The African Women’s Development Fund (AWDF) has established itself as an innovative organisation that has nurtured social justice, economic empowerment and women’s rights philanthropy in Africa. Since 2001, AWDF has stayed true to its core goal: to build up an autonomous base for gender equality and development, supporting movements and initiatives of women that ordinarily do not have access to mainstream sources of funding for reasons of capacity, language, geographical location, and marginalisation. With 17 years of operations and a network of over 1,300 women’s organisations in 43 African countries, as well as 2 countries in the Middle East, AWDF has developed a unique, flexible and responsive approach to grantmaking. This approach has catalysed change in the lives of women, particularly those from marginalised communities, and at the levels of policy. Over the past 15 years, the AWDF has mobilised many kinds of resources for African women to learn, grow and recognise the expansive value they provide to their communities. 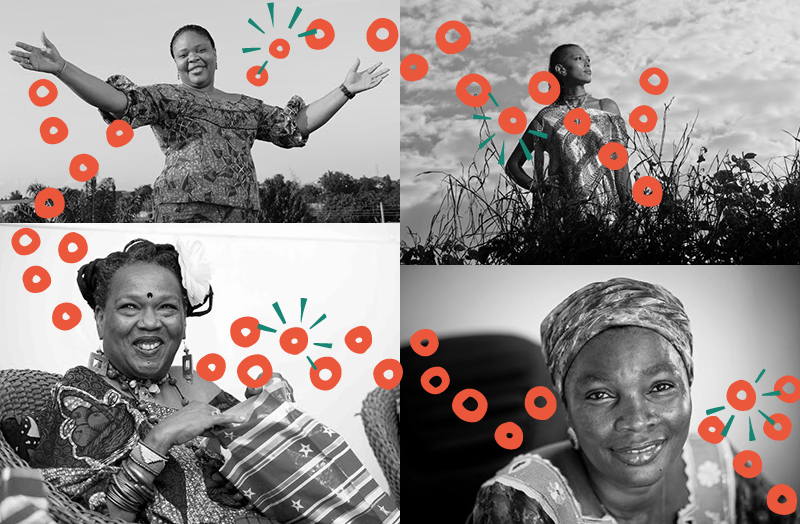 A grant making process that is uniquely designed to meet the needs of African women. Providing multi-year funding, technical assistance, institutional development to African women-led organisations. Challenging harmful and stereotypical depictions of African women. Amplifying a unique feminist voice and praxis. Funding emergency response initiatives, including the #BringBackOurGirls campaign, and Ebola education and sanitation efforts in Liberia and Sierra Leone. Generating innovative development models for movement-building with multiple national feminist forums in Africa. Solidifying a diverse series of partnerships and collaborations at national, regional and local levels. Creating an Endowment fund to promote organisational autonomy and sustainability. Ranking 13th out of the top 20 foundations in the 2014 Foundation Centre’s “Advancing Human Rights” report – and being the only African institution. Co-founding of the African Philanthropy Network (APN) in 2010. Supporting key development processes and maintaining a strong voice on global advocacy platforms such as the post-2015 Agenda on Sexual and Reproductive Health and Rights, Women’s Leadership, LGBTIQ Rights in Africa and much more. We look forward to another 15 years of working with our colleagues, sisters, and friends in support of African women’s leadership, better health systems, livable wages, education, security and social justice across Africa. AWDF is visionary. It started the wheels of African philanthropy before many were thinking about it. It was built by feminists, and has stayed true to its total commitment to responding to and resourcing the activism and methodologies that African women themselves propose as solutions to the continent’s crises. The mandate of ‘by and for’ African women is politically important but also has a practical impact. Staff at AWDF hear about issues as they are developing, and can take action to support responses- from women’s activism to end the war in Liberia to new work around women in the culture industries. The African Feminist Forum has been hosted by AWDF- a historic platform that has contributed directly to building stronger solidarity between activists on the continent including around the rise of religious fundamentalisms and oppressive laws around sexuality. Happy birthday AWDF! We are looking forward to many more years.